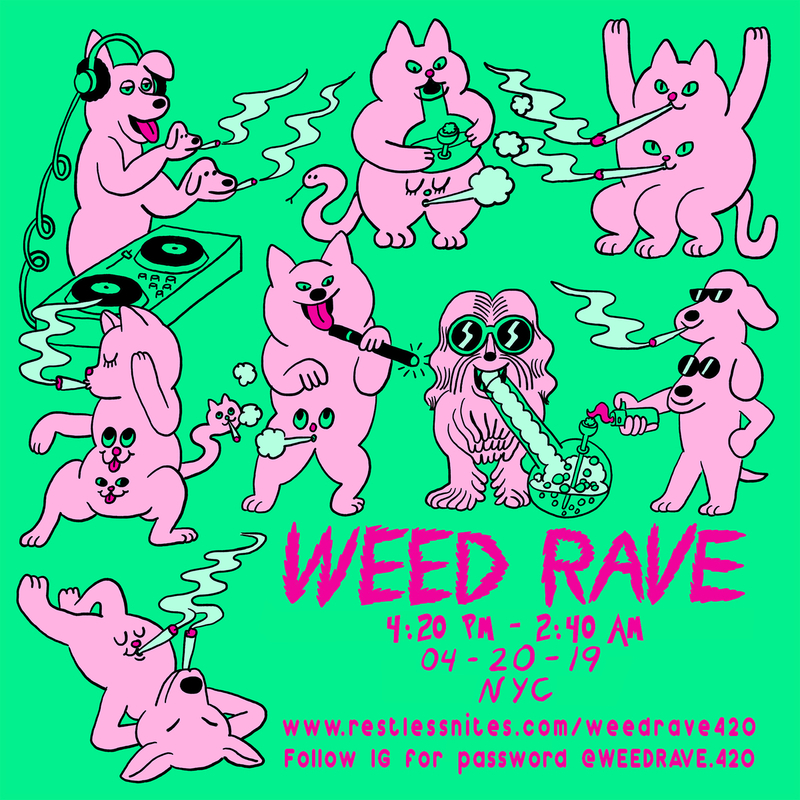 Weed Rave returns for 4/20. Michelle Lhooq’s Weed Rave is coming to New York. 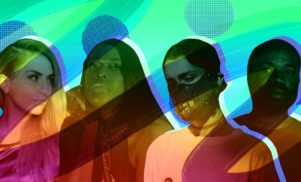 Quest?onmarc and Jasmine Infiniti will headline, whilst Joey LaBeija will provide the stoner soundtrack to a bong-making competition. Listen to a smoked-out mix from Quest?onmarc below. 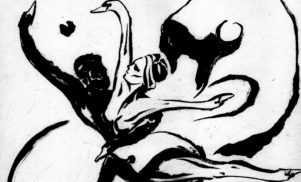 In addition, Eartheater and Sigrid from FLUCT are collaborating on a CBD yoga session, whilst Unter residents Pure Immanence and Olga will be taking over the ambient room. Weed Rave NYC celebrates the launch of Michelle Lhooq’s new book, Weed: Everything You Want To Know But Are Always Too Stoned To Ask and all advance tickets will come with a free copy of the book. For tickets and more information about the event, follow @WEEDRAVE.420 on Instagram. 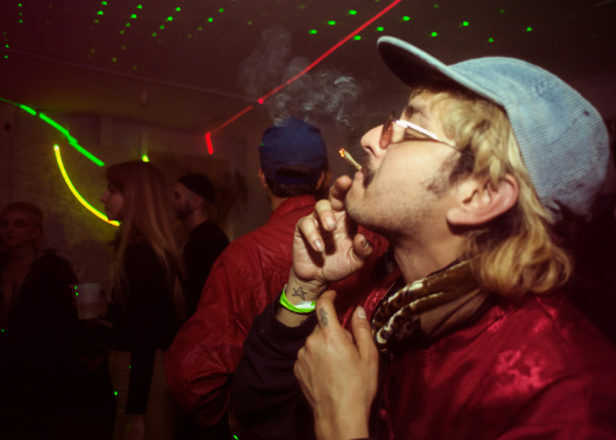 Weed Rave NYC takes place on April 20. Check out the flyer for the event, and re-visit some photos from the last Weed Rave, below.